Giao was born in Vietnam. He holds a bachelor’s degree in Foreign Trade at the University of Economics Ho Chi Minh City, Vietnam. He is a changemaker with 8 years of experience in social-good ventures to serve people-in-need. He has worked with coffee farmers focusing on sustainable farming practices in Enactus, then worked for Starbucks Coffee Headquarter as a YSEALI Fellow. He has also volunteered to create life-changing experiences for local children in Hungary. He was honored with The National Volunteer Award from the United Nation. 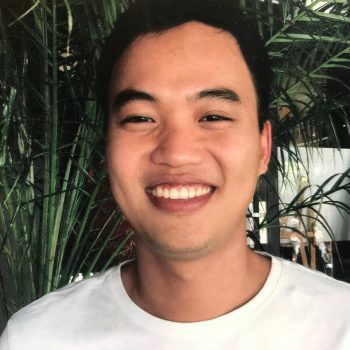 Currently, he is working at Unilever Vietnam on purpose-driven brands such as Knorr, VIM/Domestos, and Pepsodent to catalyze the Unilever Sustainable Living Plan aiming at making Vietnamese lives better. Giao is a firm believer in social innovation and is interested in sustainable foods & agriculture. He loves football, coffee, reading, and trekking.